For those of you hoping for Iron Man 4 with Robert Downey Jr. as the man in the metal suit, there’s some bad news as RDJ doesn’t think it will be likely to happen. Iron Man is arguably the most popular character in the Marvel Cinematic Universe and a lot of that has to do with RDJ’s performance. But the actor will be turning 51 this April, and by the time Infinity War wraps up in 2019, he’ll be 54 — and playing a superhero is a young man’s game, generally speaking. I tend to not be a fan of recasting roles, but I’ve been a fan of the rumor that Ty Simpkins (the kid from Iron Man 3) taking on the role of Iron Man. There’s no reason why the name can’t pass on to a new generation, and it will keep the universe’s continuity flowing forward rather than rebooting the character to a younger version. It could even mean that Downey Jr. could still be in it as a supporting character (think Batman Beyond). The other possibility is that Marvel is introducing a whole new generation of heroes during Phase 3, making a fourth Iron Man unnecessary. Civil War will bring us Black Panther and Spider-Man, who will get their own solo films, while Doctor Strange, Captain Marvel, and The Inhumans are also being introduced. Phase 2 saw the introduction of the Guardians of the Galaxy and Ant-Man, both of which have sequels on the horizon, so it’s not like Marvel is running out of superheroes to make films about. 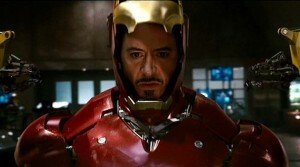 Having said all of that, Marvel may still make Iron Man 4 with RDJ as Ol’ Shellhead. It wouldn’t be the first time that Marvel negotiated a new contract with Downey Jr., as they’ve already successfully negotiated twice. Once for two Avengers films, and a second negotiation to appear in Captain America: Civil War. You can still catch Robert Downey Jr. as Iron Man in the upcoming Captain America: Civil War, premiering in theaters on May 6, 2016.